I have to say that this book is an unconventional pick for me. I normally don’t read a lot in this genre, outside of the occasional Chetan Bhagat book, which is also rare these days. But I was out of books, and a trip to the bookstore or library meant battling snow, so I settled in with this one. I was looking for a light, quick read over the weekend, and this book fit the bill. 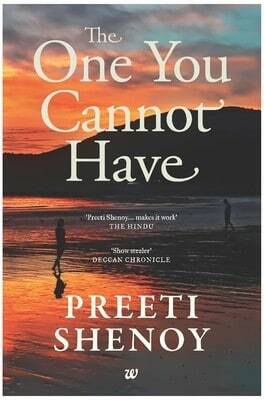 This is the very first Preeti Shenoy book that I have read, so, went in with no expectations. The book is a total page-turner. I liked the shifting of perspectives at the beginning of every chapter, and the characters, the life situations, and their decisions are very real and relatable. In-spite of the alternating narration, the author does not deviate from the plot. A large part of my enjoyment came from not being able to tell for sure how it would all end (yes, in-spite of the title). The characters of Aman, Shruti & Anjali are well developed, and the story has a nice flow to it. I really enjoyed Anjali’s articles in Tiara (the magazine for which she writes). Whether she wrote about “How to keep a guy hooked?” or “How to get over the one you cannot have?” she came across as simple, easy going and genuine. However, the one thing that bothered me is the abrupt ending. It is a very well developed plot, and it deserved a well thought out end. This is especially true for Shruti’s character who is one of the 3 main protagonists, and the readers are invested in how things turn out for her, and how she and Rishabh get from Point A to Point B. That is all I can say about the disappointing end to keep this review spoiler-free. It is a story of a love lost, a story about complicated relationships, and moving on in-spite of everything. But above all, it is a story of emotional acceptance. Overall, for people like me, who attach a lot of importance to how a story concludes, this might not be the best pick. However, if all you are looking for is a light, quick read, and can enjoy a story well told without getting too hung up on the end, this might be worth a shot. 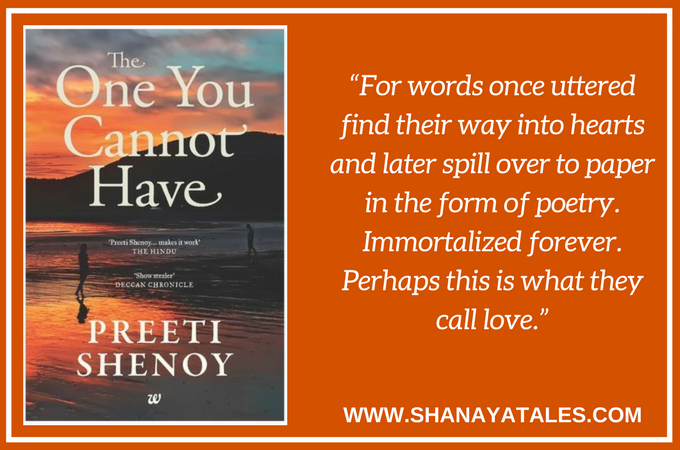 This book made me think about how people respond to loss and change. Every one has their unique way. I have always found that a little bit of time and space solves most problems. It always works for me. What according to you, works best for you, when you need to move on from a relationship or a friendship that just doesn’t work? Nice review. With the paucity of time on hands, I doubt if I will pick up any book just now. I found Life is what you make it the best of the lot. This one was a little predictable for me. I really wish there were more textures and depth to her characters. Shruti is rather unidimensional (from what I remember) and her husband is the YRF good guy (the one usually played by Abhishek Bachchan, if you know what I mean). But a good book.